Today is Get To Know Your Customers Day. It's a quarterly celebration where businesses are encouraged to spend a little more time learning and understanding their customers better. After all, without them businesses would be nowhere. Here's what's happening around the Colorado beerosphere today Thursday, January 19th, 2012. Pateros Creek Brewing (Fort Collins) - Thursday means a new Outlaw tap at Pateros Creek. Today's Outlaw is their Old Town kicked up to a whopping 110 IBUs. It's a hop lovers dream. Check it out - it taps at noon and goes til it's gone. Copper Kettle Brewing (Denver) - Tomorrow, Friday January 20th at 5:00pm to 9:00pm, Copper Kettle will be celebrating the release of their Dortmunder Lager. It's a full bodied and moderately hopped brew, a classic deep golden lager home to the Ruhr District of Germany. It's one of three lagers on tap. There will be traditional Polish food available as well starting at 5pm. Crabtree Brewing (Greeley) - Crabtree Brewing got paid a visit from Colorado senator Mark Udall who got a personal tour of the brewery from owner Jeff Crabtree and talked about the difficulties on small businesses getting loans these days and how to better support brewing as a growing sector of Northern Colorado's economy. The senator walked away with a 4-pack of their new canned Eclipse Black IPA before heading to the Vestas facility in Brighton. NOCO5 (TV) did a video story about Udall's visit to Crabtree Brewing. Check out their full story. The Beer Stick (Bottle Opener) - Do you like to collect bottle caps? Ever wish you could safely remove a cap without bending or creasing it? There may be just the thing for you collectors - it's The Beer Stick. It looks like a simple block of wood with a metal hook and a leather strap, but it reportedly works wonders on bottle caps. The guys over at The Brew Bros did a write up on this product invented by a Colorado couple in Denver. 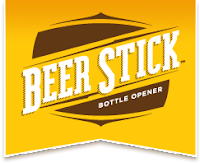 Check them out at: www.thebeerstick.com. They even had a booth at the 2011 GABF in Denver. They were recently written up by the University of Denver as a salute to one of their former graduates. Mountain Sun (Boulder) - In addition to their regular huge line-up of hand-crafted brews, Mountain Sun is offering up a couple of special sour beers from Russian River Brewing Company today - Russian River Supplication and Russian River Consecration. Both are a sour beer lovers dream. Try an 8oz glass today while it lasts. Trader Joe's (Grocery chain) - Rumor has it that Trader Joe's, a popular California grocery chain, may be headed to Colorado soon. This chain is popular not only for it's food, but also for the fact that they sell a wide variety of liquor. If Trader Joe's comes to Colorado, will this spur a new push for grocery and convenience stores to have the right to sell full strength liquor? Currently, the vast majority of Colorado craft breweries and liquor stores are against allowing chain stores to sell full strength liquor as they fear out of state corporations will start dictating what beer is stocked on shelves. What's your take on this? See the Boulder Daily Camera article on this news. Odell Brewing (Fort Collins) - If you're in Fort Collins tomorrow (Friday), join Odell Brewing at the Ramskeller on the CSU campus for some fun & games (with prizes) from 3pm to 5pm. Then head over to B&B's Pickle Barrel East Coast Deli for a special Bourbon Barrel Stout tapping at 6pm. 14 other brews on tap and more in bottles. Location: 122 W. Laurel Street in FoCo. Rockslide Brewery (Grand Junction) - It's another of their famous Dice Night specials. Come down and order drinks and they'll roll some special dice for you for a chance to win free drinks! Aspen Brewing Company (Aspen) - Cans of their Independence Pass Ale and This Season’s Blonde are coming soon! After months of delays with their equipment manufacturer, the Brewery at the Aspen Airport Business Center is up and running (tours coming soon!) They are making Aspen’s favorite brews as fast as they can. They have five of their six main beers available in their Tasting Room (304 East Hopkins) with Ajax Pilsner coming out in less than two weeks. As soon as they are able to build up an inventory, they will begin canning their IPA and Blonde! Avery Brewing (Boulder) - Swing by Avery Brewing Company this Thursday evening to enter the raffle for their Grand Prize Giveaway! The Grand Prize includes 2 lift tickets to Buttermilk Mountain, 1 night at the St. Regis Hotel, 2 tickets to the Winter X Games 2012 Kick Off Bash, and 2 cases of beer! They are hosting the last stop on the Road to Winter X Games Aspen 2012 tour starting at 7 pm. The beer will be flowing and door prizes will be given away! Ska Brewing (Durango) - Tonight, Ska will be tapping their "Glutentag" beer at the Ska Brewing World Headquarters! Their 2nd gluten free beer available in limited release only at Ska! Live music tonight by the Assortment from 5-7pm! River North (Denver) - according to Lee Williams at Hoptopia, River North has beer in their tanks and is planning for a soft opening sometime in the next 2 to 3 weeks. LoDo will soon have another brewery in February. Look for opening day announcements soon. Grimm Brothers Brewhouse (Loveland) - (Press Release) Grimm Brothers is pleased to announce the long-anticipated, seasonal release of Seven Ravens, our Schwarzbier. This black lager has been a fan-favorite, with a clean, malty backing and smooth finish. Seven Ravens will be available in the taproom at Grimm Brothers Brewhouse (located at 623 N Denver Ave in Loveland), and it will also be showcased this weekend at the Backbone Gourmet Grub & Brewhouse Saturday with a mini 3 course beer dinner. Contact 970-622-8008 for tickets.